You must make reservations at least 5 minutes in advance of the time at The Salon at Quince. Situated in San Francisco's historic Jackson Square, Lindsay and Chef Michael Tusk's celebrated Quince features Californian contemporary cuisine. The Salon offers an abbreviated tasting menu that showcases our unique partnership with Fresh Run Farm. Located adjacent to the Main Dining Room, the Salon provides a more convivial environment with cocktail table seating. A wonderful evening and especially from the attentive knowledgable staff. They saw we were interested in the cocktails, food, art on the walls and were tremendously informative and kind to us. Food was wonderful. What a lovely evening. Incredible service. Great food. Every thing from the hostess greeting you to the quality of the soap in the men's room. Nouvelle.cuisine inspired food from a chef at the top of his game. San Francisco expensive (meaning very expressive), but an exceptional culinary experience. Not to say anything went wrong necessarily, the main issue was the price ratio and food portion. For four not each WoW course of dish prefix tasting menu charged at USD180 tea and coffee excluded, and the portions of food were definitely on smallish side compared with some three-star ones in Europe which would not let one feel half empty while singing the bill for the same amount of money paid for. The service in general was good, however, it seemed something was missing amongst the service team from the first person to greet us at entrance till to the waiters and waitresses served the food or pouring the wine for you, we just didn’t see the passion and enthusiasm were there perhaps they were too busy on that night or may be they were tired of their daily work routinely. We also felt a bit of being rushed during our eating progress and being mentioned to present our credit card two times while we were checking on the bill at final stage. It was a kind of disappointment for us to get in a high expectation of our very first fine dining experience in the North America, and the reason we guessed that since there were only three tables in Salon area ours was a early time one at six, they actually needed it back in time to receive next round guests. I truly hope I get them wrong. My wife and I are fine dining goers mainly in the major European cities and Japan. And this time we are visiting to our son’s home at Bay Area from abroad to celebrate the birth of our very first also grandchild. 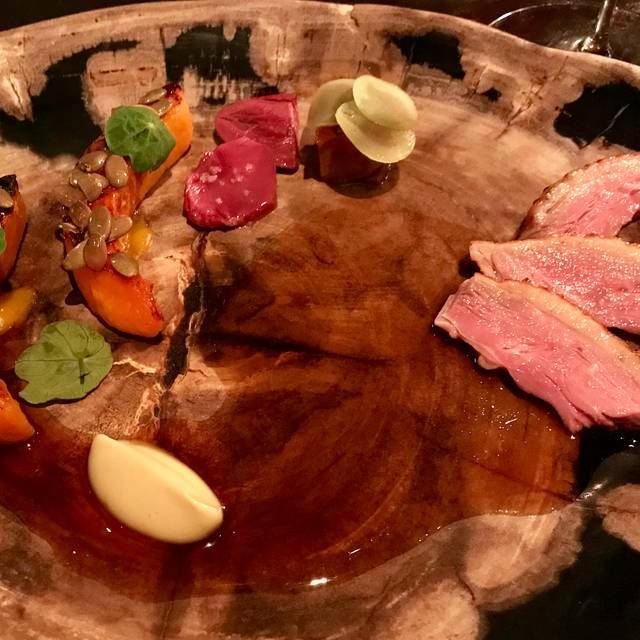 We therefore loved the opportunity to tryout a high end eatery to get first hand experience how a Michelin starred restaurant was in SF and Quince was being picked up. 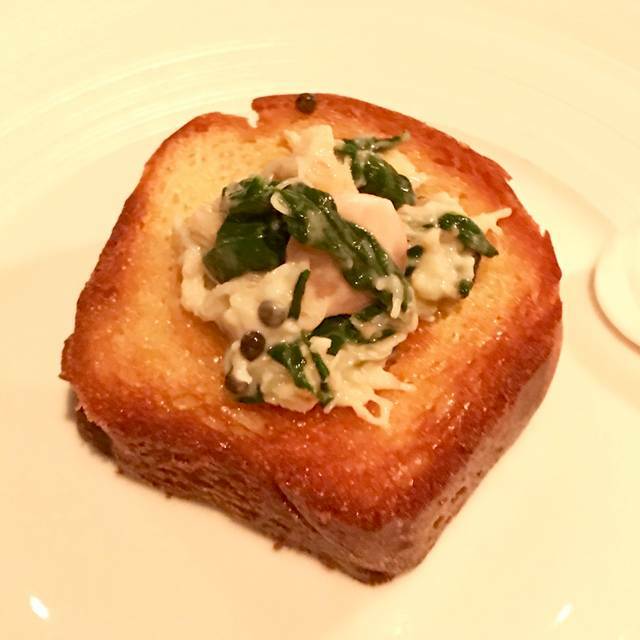 Please don’t get me wrong with my scores which is purely based on my own considerations, and Quince is deserved for its title as they got all elements a three Michelin stars restaurant should have. Fabulous! They keep getting better!! We have had the pleasure to dine at several Michelin 3 star restaurants. All provided a superb culinary experience, a fabulous wine list and excellent service. Quince tops them all: the cuisine was exceptional, we sampled the very well conceived and executed wine pairing, and the service was both superb and provided in a most enjoyable and relaxing way. What sets Quince above the others is its team...from Leila our host thru every aspect of the experience (including a kitchen visit), they were consistently the very, very best!!! We were there for a birthday celebration. They definitely made it a birthday never to be forgotten, but it was clear that every guest, special occasion or not, was treated to an exceptional experience. BRAVO Quince!!! We had a great experience at Quince. I would highly recommend! We love the fact that a three star restaurant has a smaller/shorter course offering like the Salon at Quince. 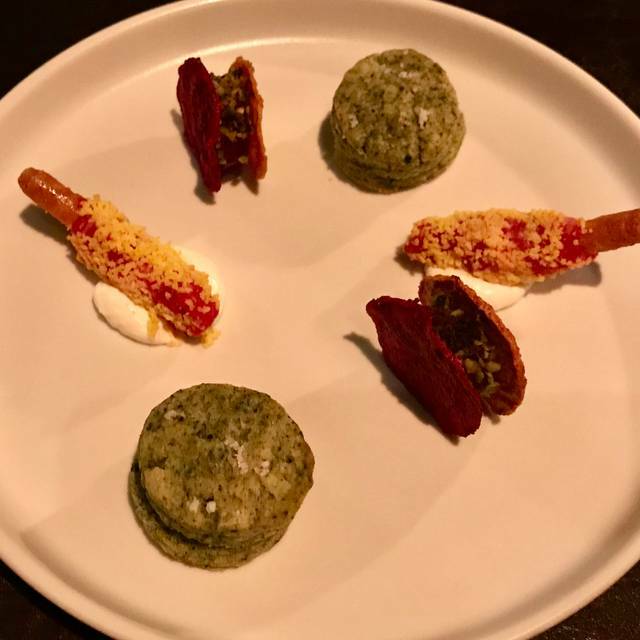 The service was terrific and while advertising four courses it was really more when canapes, mignardises and departing hot chocolate (seriously, the best hot chocolate we have ever had!) not to mention chocolate tiramisu in honor of our recently celebrated wedding anniversary were included (on top of the advertised four courses). We will definitely be back! Spectacular experience for our anniversary dinner. Well crafted and plentiful preset menu from the same kitchen as 3 Star dinning room. The service was excusite and the setting is classy with a modern touch. Food was excellent and the staff was extraordinarily warm and welcoming. Very good meal but not spectacular and we all left a bit hungry Great service and wine list. Fun night. Wonderful experience. Gregory could not have been nicer! Three Michelin star... What else can I say. Priced accordingly, worth every penny.